It it just me who is obsessed with tops that have under blouses peaking out?! I think they are so cute. 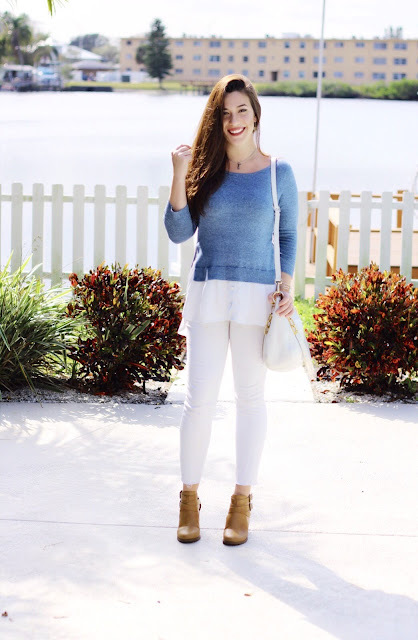 This one is from Ann Taylor and the sweater is really soft, as are these amazing Denim x Jegging jeans from American Eagle. Super stretchy and comfy yet still maintain their shape! Added some brown booties from Urban Og and my white Michael Kors shopper plus some gold jewelry. The bag has gold and so do my shoes and I have a thing where I have to match metals, so gold it was. I also really like it with the whites in the look. 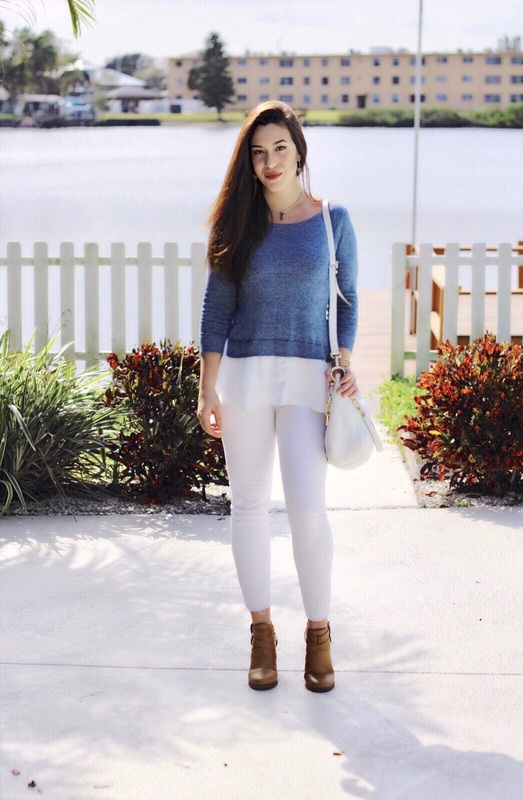 I wore this outfit to Localtopia, an awesome gathering of local vendors and small business's who promote and sell their food, goods, brands, and services with the St. Pete community. There's art, live music, food trucks, installations, and even a champagne tent. All about keeping the community prosperous. Yeah were pretty tight knit here #keepstpetelocal. More on Localtopia in my next post!